A thin cloud of smoke hovers above late-night shisha patrons socializing on the sidewalks of a narrow alley in Istanbul’s bustling commercial heart. It’s just past 2 am and Nasser darts through the smoke, racing from one table to the next as he takes orders and replaces ashy, withering hookah coals with freshly lit ones that give off a vigorous, orange glow. In 2011, Nasser had just graduated from college with a bachelor’s degree in business management in his hometown of Aleppo, Syria. He was immediately hired by a telecommunications firm after graduating and was eagerly building an independent life. Nasser was making enough money to cover his expenses. In fact, he had enough left over to start saving up for his own apartment and car, two purchases he deemed prerequisites for marriage. “Life was good before the war,” he says. After a Syrian government helicopter dropped a barrel bomb on a building across the street from his family’s home in east Aleppo two years ago, they decided to flee. “We escaped just in time,” Nasser says, shaking his head solemnly. They received word their building had also been destroyed a couple of months after they crossed the border, though they were never able to confirm this due to the extent of the violence that has engulfed their neighborhood. The Syrian crisis reached another grim milestone this summer, as the number of refugees registered with the UN’s High Commissioner for Refugees surpassed 4 million. The number of Syrians who have fled but have not registered with the UN is believed to be substantially higher. Initially, like Nasser they turned to neighboring countries—Turkey, Jordan, and Lebanon—in search of a temporary home to wait out the conflict. However, as more and more Syrians are reaching the conclusion that they don’t have a future in their homeland, many are choosing the perilous path to Europe, where they hope to start over in a safe, stable environment. Steadily, the horrors of what President Obama once labeled “someone else’s war” are making their way across the globe amid the worst refugee crisis since World War II. The 71 decomposing Syrian bodies found in a smuggler’s abandoned truck in Austria and the drowning of young Alan Kurdi shocked the conscience of a world that had become increasingly numb to the atrocities unfolding throughout the Middle East. Nasser is one of over 2 million Syrian refugees in Turkey, which has accepted more than any other state. According to a recent 72-page report issued by Turkey’s Republican People’s Party, only 270,000 refugees are living in camps near the border. The rest are scattered across Turkey’s 81 provinces. Istanbul is a popular destination for many of them, who like Nasser are trying to establish a new life. 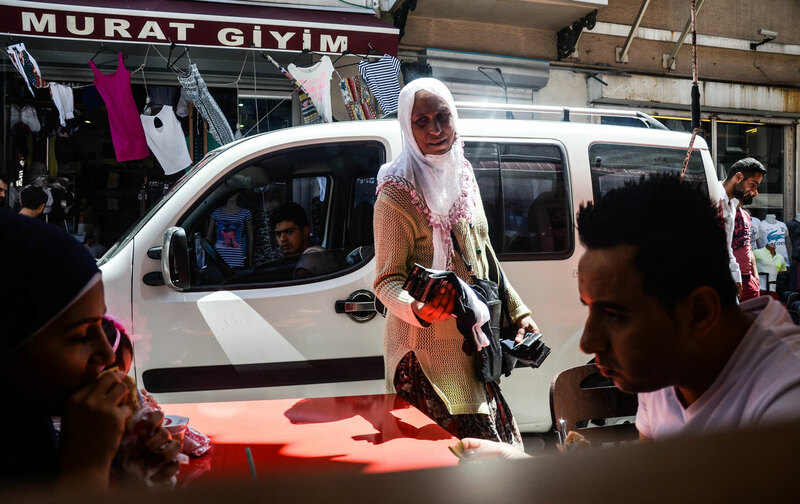 Some estimates peg the Syrian population in Turkey’s most populous city at nearly half a million. It’s impossible to miss the Syrian presence in Istanbul. From homeless beggars on the side of the ancient city’s roads, to peddlers selling everything from socks to selfie-sticks, they are everywhere. Signs in stores and on the roads often have an Arabic translation, and you can’t walk far without hearing someone speaking in Arabic. Istanbul is even home to its own Little Syria. It is located in the historic Fatih district, named after Mehmed the Conqueror—the Ottoman Sultan who captured Constantinople from the Byzantines in 1453—and home to his mausoleum in the imperial Fatih Mosque. Relatively affordable rent and a central location made this area a popular place for the first wave of Syrian refugees, and over time it transformed into a more permanent home for thousands fleeing the war. Over the past four years, Syrian entrepreneurs have also invested in businesses throughout the district, ranging from restaurants to real estate agencies. Many of them exclusively hire Syrians, providing rare opportunities for refugees to eke out a living. A restaurant called Levantine Nights is among the more popular establishments. Day and night, it is packed with Syrian men, women, and children savoring their indigenous cuisine and debating the latest developments in their war-torn homeland with friends and family. 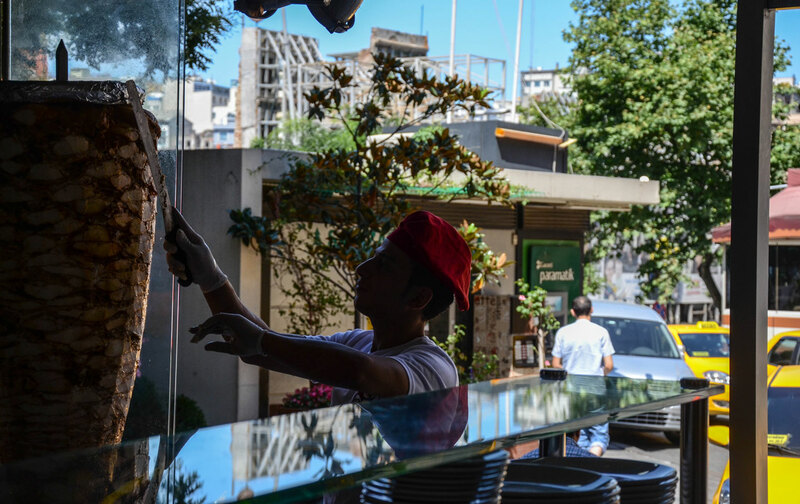 Next door, the Muhtar Cafe offers a distinctly Damascene decor and serves authentic Syrian desserts, including pistachio ice cream and freshly baked knafeh. One thing the district was missing was an Arabic-language bookstore to meet the growing immigrant community’s literary needs. Cognizant of this void, Samer al-Kadri, a Syrian refugee who owned a children’s publishing house in Damascus before the war, opened Pages. According to him, Pages is the only Arabic-language bookstore in Istanbul. Turkey—currently the world’s largest refugee-hosting nation—has been widely praised for its welcoming attitude. On a visit marking World Refugee Day in June, the UN High Commissioner for Refugees, António Guterres, called Turkey “a great example for other countries in a world where borders are becoming unpassable for refugees.” The Turkish government says it has spent nearly $8 billion on humanitarian assistance for Syrian refugees alone. It also recently announced that Gaziantep University, less than a two-hour drive from Aleppo, would offer 28 majors in Arabic, including biology, mathematics, economics, literature, and engineering. However, the Turkish Parliament has yet to act on the issue of work permits for refugees, which it has punted until after the snap parliamentary elections to be held in November. Despite the praise the government’s stance has garnered abroad, there is growing discontent among Turks regarding the growing number of refugees. Many fear that the open-border policy is fueling the country’s “Arabization,” a perceived step back in the republic’s almost century-long effort to divorce itself from its Ottoman past. According to Turkish sociologist Didem Daniş, these anti-Arab attitudes are a manifestation of Turkey’s official state ideology. After the fall of the Ottoman Empire, the republic’s founder, Mustafa Kemal Atatürk, famously vowed to “cleanse the Turkish mind from its Arabic roots.” To achieve this end, the existing Ottoman script, which was based on the Arabic alphabet, was abolished and replaced with the contemporary 29-letter, Latin-derived Turkish alphabet. This was a cornerstone of Atatürk’s plan to modernize Turkey. “In our minds, [which are] shaped by the official ideology, Arabs are not favored. Two peoples who have certain prejudices against each other all of a sudden having to live together certainly leads to significant tension,” Daniş explained in an interview with Zaman, one of Turkey’s largest daily newspapers. The economic burdens of hosting such a large number of refugees are also inflaming tensions. In addition to the billions the government is spending on humanitarian aid for refugees, instability throughout the region has cost Turkey an estimated $11 billion in lost revenue from trade and tourism over the past four years. 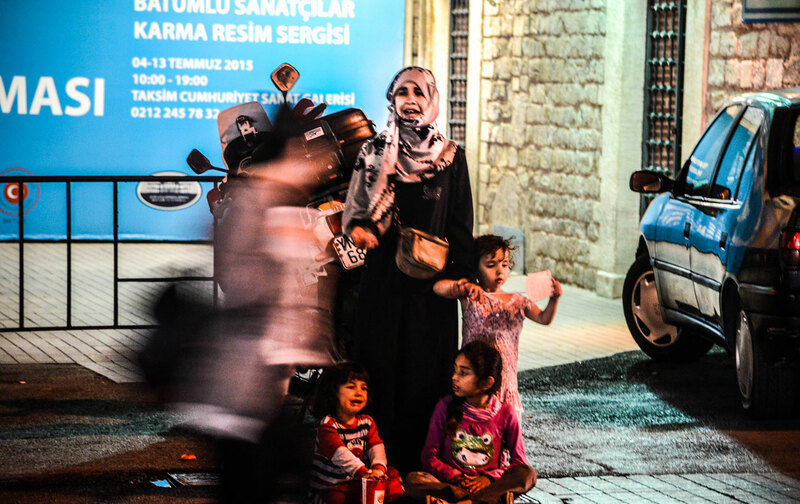 Turkish resentment toward Syrians has sometimes boiled over into violence. Earlier this year, a Turkish Burger King manager in Ankara sparked outrage after beating an 11-year-old Syrian boy for eating a customer’s leftovers. 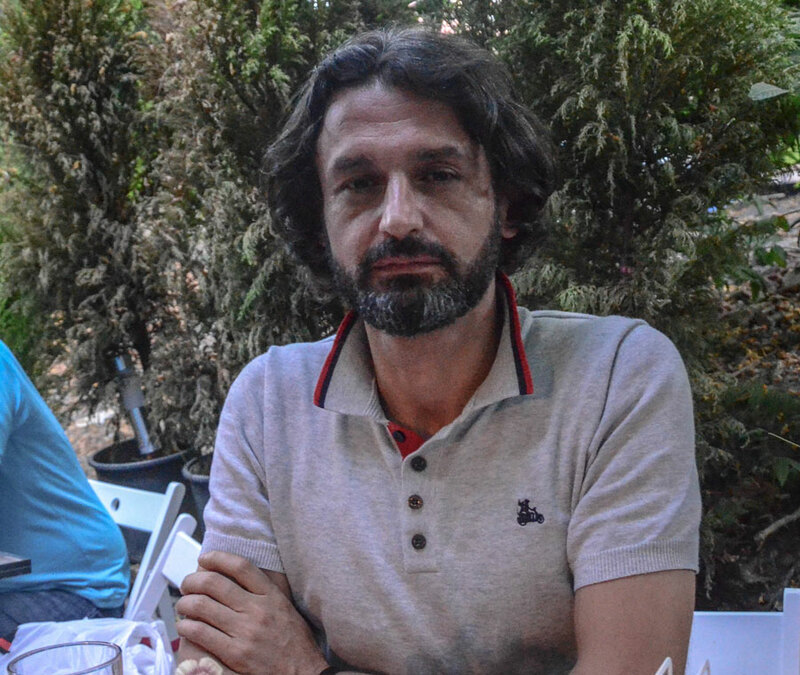 A similar incident in July, in which a 9-year-old refugee from Aleppo was bloodied by another restaurant manager in Izmir for trying to sell napkins at the restaurant, provoked an international outcry. Though these incidents are roundly condemned, many Syrians share stories of similar, if somewhat less dramatic, outbursts they say occur on a regular basis. This anti-Syrian sentiment, along with economic hardship and a growing sense that the civil war will rage on for years to come, helps explain why many refugees are willing to risk everything by leaving Turkey and heading for Europe. It is my last day in Istanbul and I go with Nasser to meet his roommate, 22-year-old Issa, who fled Syria last year to evade mandatory service in the Syrian army. Issa comes from a wealthy Christian family in Damascus. “I am here temporarily,” he says confidently. “People see the news and it’s all about ISIS and death and destruction, and they think there’s nothing left for Syria to lose.” What they don’t realize, Issa argues, is that millions of Syrians, like his family in Damascus, are continuing to go about their daily lives, despite the hardships brought on by the war. “For some of us, there’s nothing left,” Nasser retorts. Joshua Landis, a leading American expert on Syria and a professor at the University of Oklahoma, is not optimistic that the conflict, which is now in its fifth year and has killed over 300,000 people while displacing more than half of Syria’s prewar population, will end anytime soon. “I think all the parties involved are convinced that they can win on the battlefield, and because of that, they don’t want to talk to each other,” he says. In the back pocket of his jeans, Nasser keeps a crumpled, torn piece of yellow paper with 11 digits scrawled on it in dark blue ink—a smuggler’s calling card. Would he be able to continue working a job for which he is overqualified for a meager salary and no potential for advancement? Maybe for another year, two at most, he says.